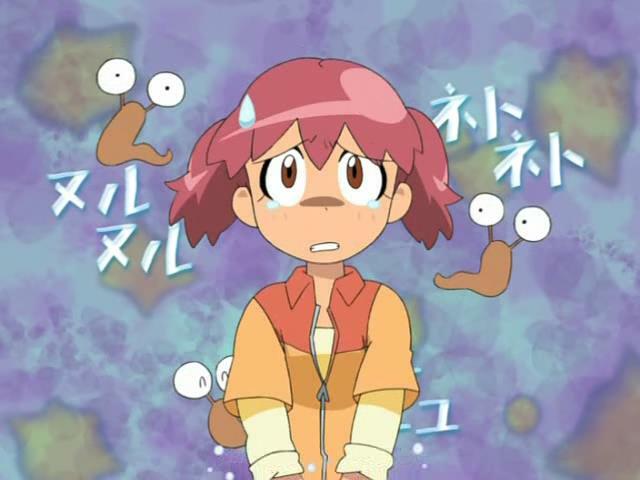 After discovering that Natsumi can’t stand slugs and freaks out over even touching one, he summons Giroro, Tamama, and Kururu for a meeting to exploit Natsumi’s weakness. 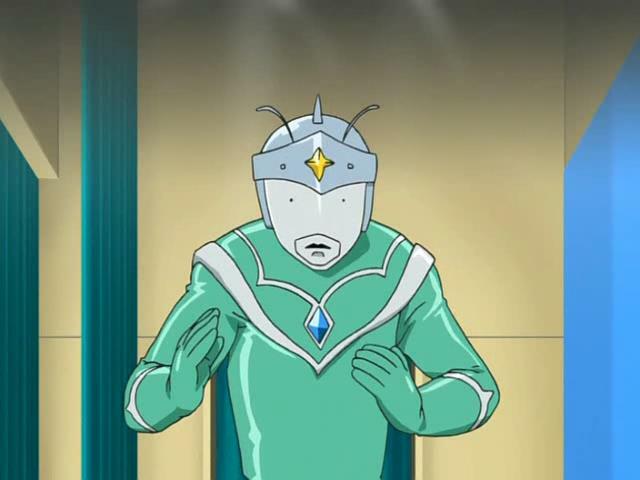 The result is to turn a slug into an Ultraman-like entity. 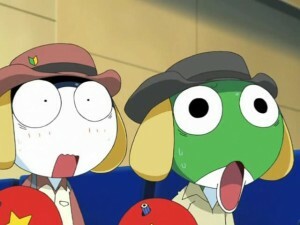 The following day, Tamama and Keroro defy and taunt Natsumi, Keroro even farting in her direction. With Mois along as announcer, Natsumi finds herself on stage facing a humanoid slug in an Ultraman-like costume named Wet King. Wet King’s attacks quickly take Natsumi out, but then Fuyuki shows up to help her. 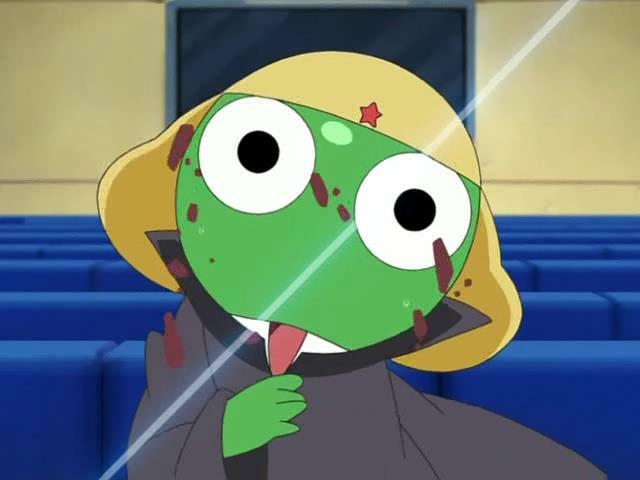 Keroro turns on Fuyuki and has Wet King attack him, but since Fuyuki isn’t afraid of slugs, the weak physical attacks do nothing. Wet King has to retreat after 4:44 minutes to recharge on water, allowing Natsumi to recover and deal out punishment to Keroro. 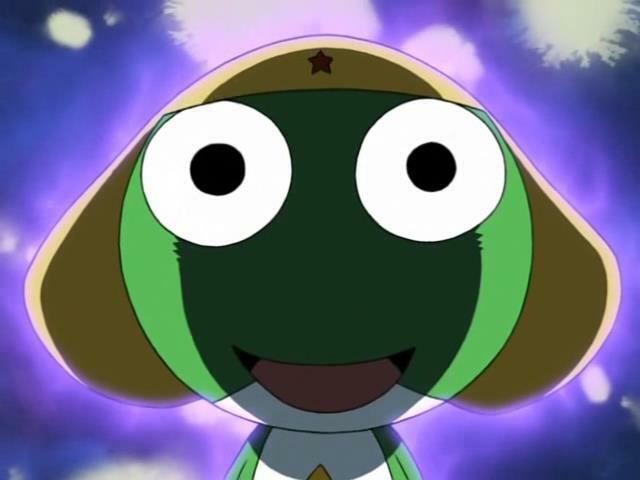 Since Wet King never showed his true power, Keroro decides to try again on the following day when it is supposed to rain heavily. As such, Natsumi finds herself on stage again. This time, she’s ready with salt, but Wet King has anti-salt fans that blow it back. Before Wet King can attack, Fuyuki arrives with Koyuki, who stops Wet King’s attack. Wet King transforms, adding 5cm to his height. It doesn’t seem impressive until he knocks Koyuki out of action. However, Wet King’s sense of justice stops him from obeying Keroro’s further orders. When Keroro tries to turn him evil with a special recorder musical instrument, Dororo arrives to destroy it. The real evil defeated, Wet King tries to shake a thankful Natsumi’s hand, but she can’t bear the thought of touching a slug. 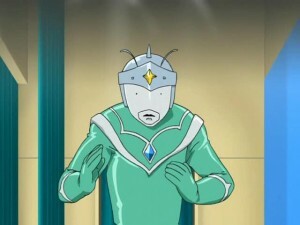 With that, Wet King leaves Earth, having a letter delivered to Natsumi to explain. 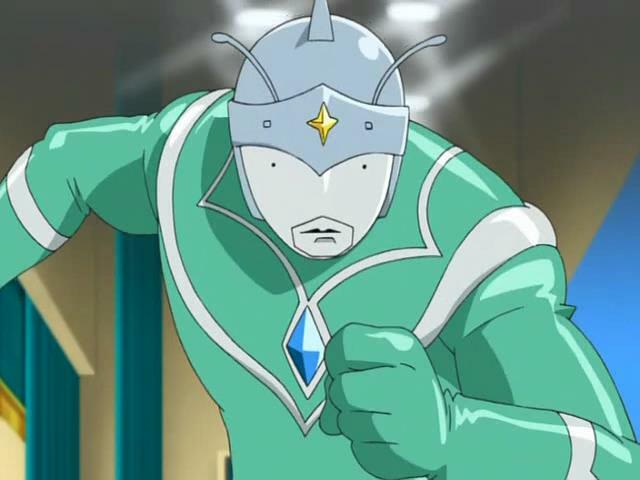 I never watched Ultraman, even though I did get the references. Considering everything done from a parody standpoint, those who had watched Ultraman would find much amusing about this episode. I do seem to recall this story being in the Sgt. Frog manga, but the anime version seems to be more than I remembered. It probably is. Regardless, even without the knowledge of Ultraman, it is still amusing for Natsumi to have such a weakness against slugs. 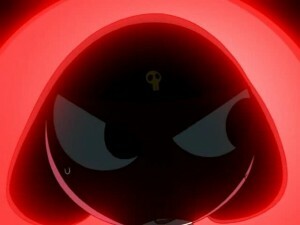 It was also kind of amusing to see Giroro stay out of this one since he has a torch for Natsumi. Otherwise, not a lot to say about the episode.